Relax and enjoy watching spectacular sunsets from this stylish, self catering accommodation in Broad Haven. Set in the Pembrokeshire National Park, the beach is just seconds from your doorstep - as is the coast path. Kitchen: Equipped to the highest standard: oven, electric hob, microwave, fridge, freezer, waste disposal, dishwasher, washer-dryer and coffee maker. Lounge: Large open plan lounge area (with adjacent dining area). Window to front and side - recently enlarged front window with dramatic sea views, side with views of the coast path. 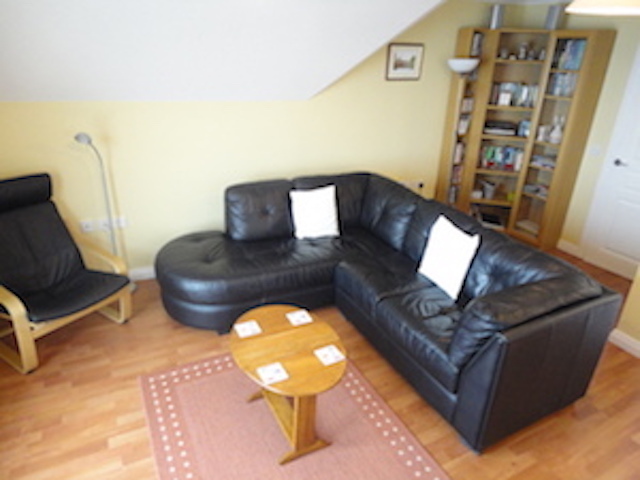 Facilities include a large corner suite, TV with Free Sat, X-Box, WiFi, and a good selection of DVDs. Further DVDs can be hired from the nearby Londis which is only a couple of minutes walk away. 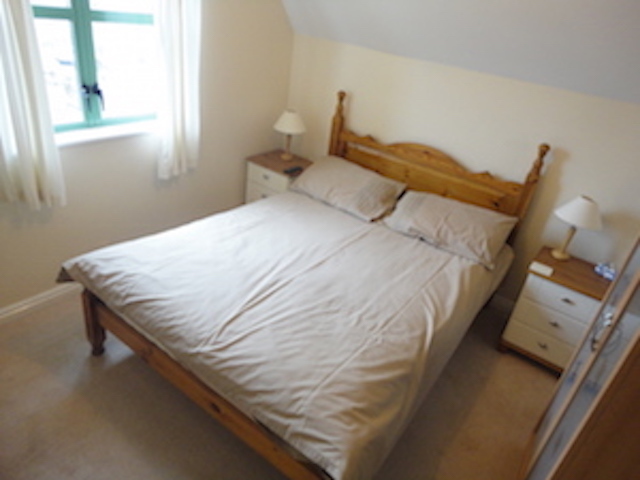 Master Bedroom: with double bed, wardrobe, bed side cabinet and freesat TV. Window with view to rear of apartment. 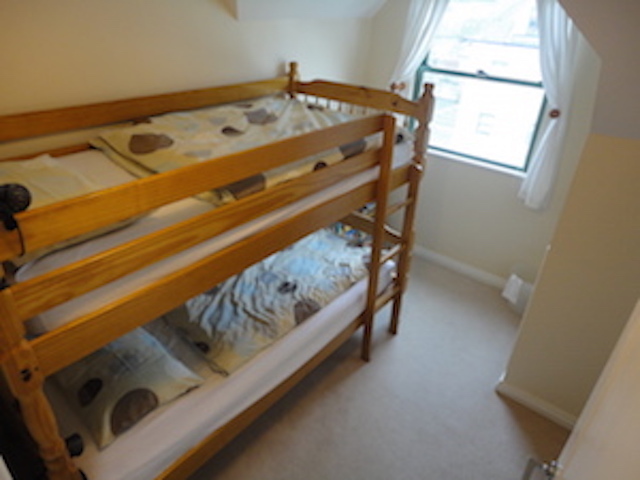 Second bedroom: with bunk beds, wardrobe and chest of drawers with a range of puzzles, books and board games for those rainy days. Window with view to side of apartment. 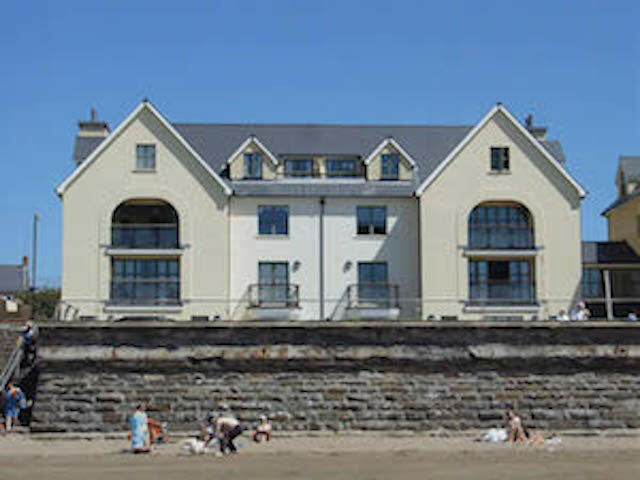 Access to apartment: 16 St Brides Bay View is a third floor apartment right on the sea front at Broad Haven. 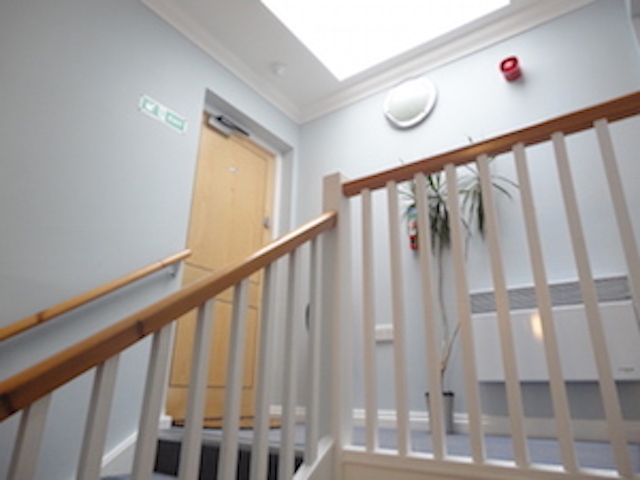 Access is gained via steps from the pavement to the communal hall entrance doorway. Three flights of stairs then take you to the top floor (please note that there is no lift in the apartment block). The kitchen has a low level oven, dishwasher and washer/dryer, fridge and freezer - all other appliances are at standard worktop height with the exception of the microwave which is at eye height. Car Parking: Allocated car parking space plus second space in general permit parking area. 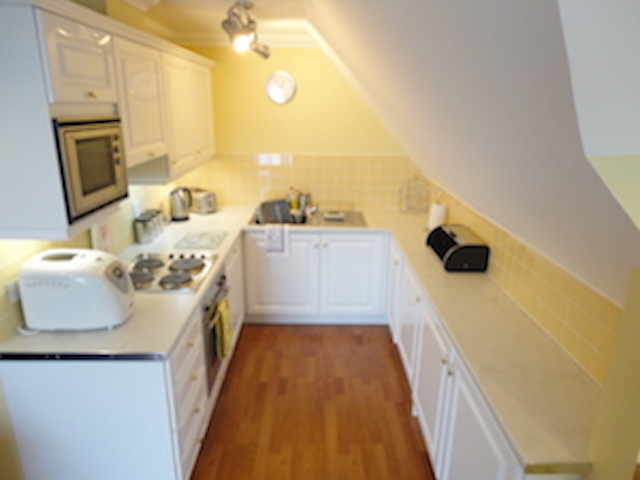 Great little apartment - has everything you need, clean, tidy and fantastic views. Very convenient for what we wanted and great value for money this time of year. 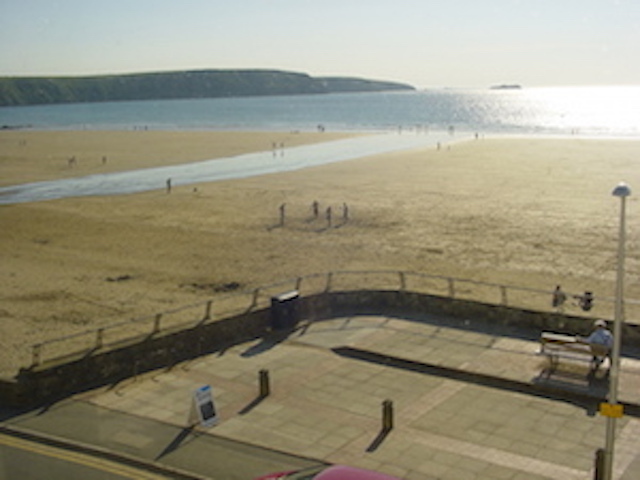 We had another wonderful stay in Broad Haven, this time in a large, beautiful apartment that was so clean and comfortable we didn't want to leave. The view from the living area window directly onto the beach was spectacular. No need for TV with a view like that! All the little additions made the stay so easy. We forgot our bucket and spade but had no worries as they were provided. The DVDs and games kept us occupied on the couple of rainy / rest afternoons with our 4 and 6 year old. 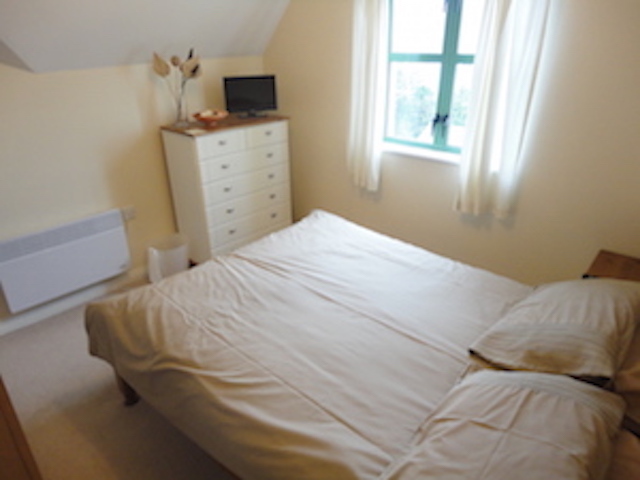 This is the cleanest apartment/house we have stayed in, during the 5 years we have been coming to Broad Haven. And we will keep coming back with a wonderful welcome like this! This is the second time I have stayed in this apartment, using Broad Haven as a base to explore the Pembroke coastline. Once again I thoroughly enjoyed my stay. The apartment was very clean and tidy upon arrival and is well furnished. There was everything I required, to make my stay enjoyable. Being right on the sea front, the view from the window is fantastic. We had a lovely stay in Broad Haven. Well equipped and warm apartment with fantastic sea views. Great place to watch the world go by.....even better with a cheeky glass of wine. We will be back. 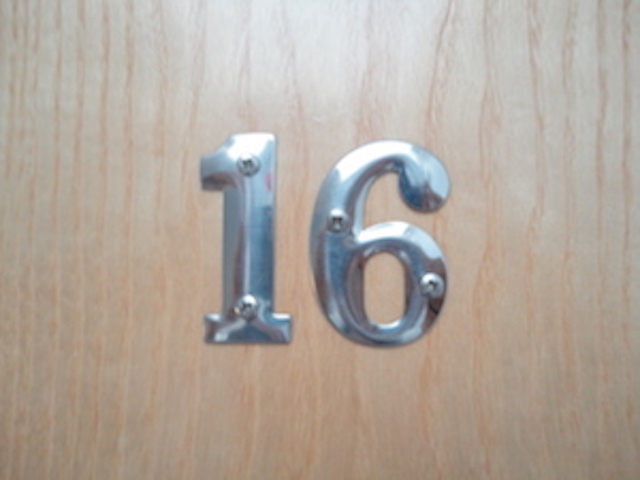 Stayed at 16 Bay View apartments for a winter holiday. 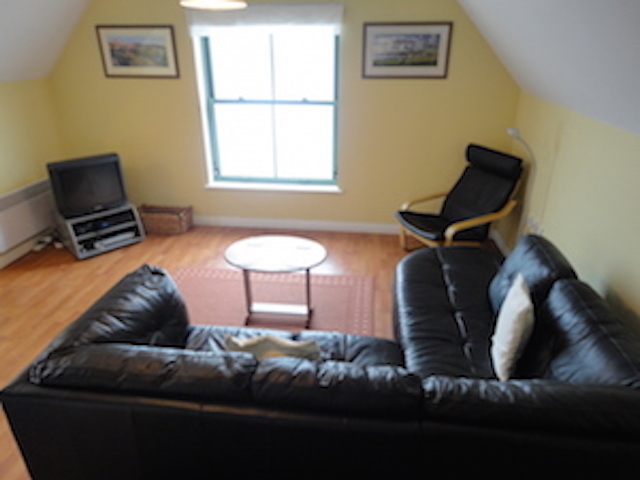 The inclement weather did not distract from an enjoyable break and some lovely walks made all the better by the warm comfortable and extremely well equipped top floor apartment with wonderful views of Broadhaven beach and the and the sea beyond. Very handy to cafes and well stocked local shop, this is a perfect place for a couple or small family at any time of the year. 'This was the first time with 'Stayinthehavens' who were excellent in all respects. We enjoyed our holiday very much with some coastal walks. I think part of it was that the coastal villages we visited were unspoilt by excess of tat shops and slot machines which seem to blight our shoreline. A well equipped, comfortable apartment in a stunning location. We didn’t want to go home! We've had a wonderful holiday in The Havens. 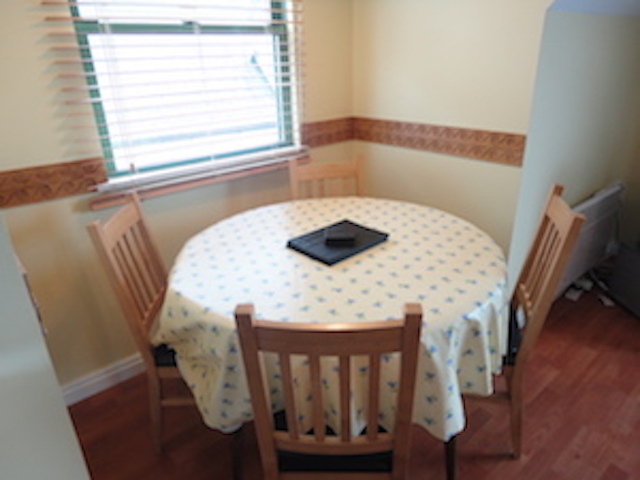 The apartment was clean, bright, comfortable and very well equipped for either a quiet break or a busy family. The addition of water boards, buckets and spades, beach chairs and a kite was very thoughtful. The apartment is located so close to the sea with a great sea view that when the tide was in it felt like we could sail away! Warm, comfortable, clean and spacious flat. Beautiful location with fantastic views of the beach and close to local amenities and local tourist attractions. 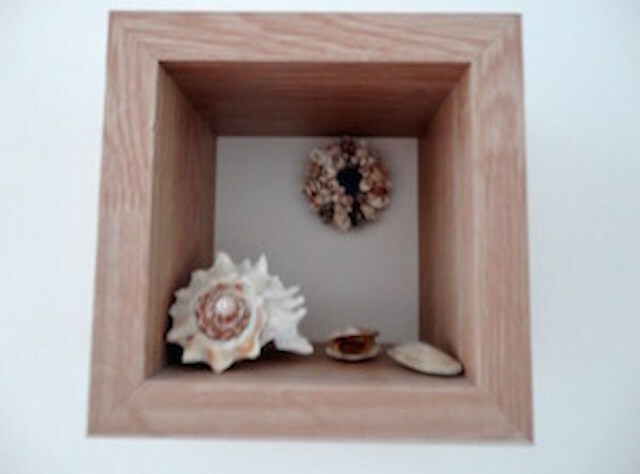 The flat is fully furnished and the owners have put much thought into tiny details which we greatly appreciated. We especially liked that there were toys, games and movies to use for those rainy days and plenty of beach stuff for the sunny days. Stayed in the apartment as a convenient location to base myself to explore the Pembrokeshire coast. The accommodation upon arrival was clean and very well equipped. I found it very comfortable and loved the view overlooking the beach and sea. 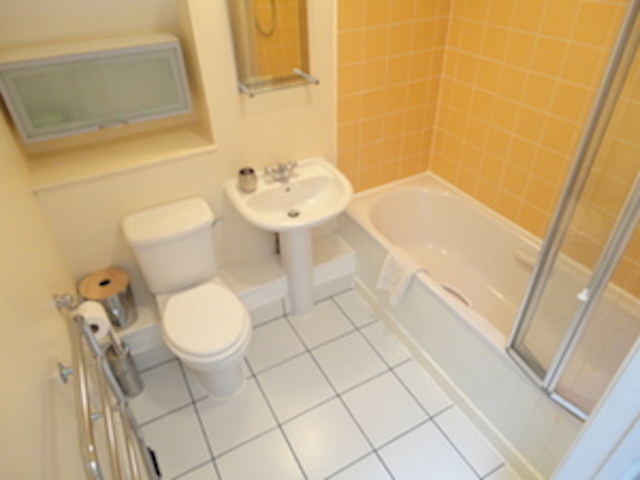 Situated very close to all amenities and would be more than happy to stay in this flat again. Another lovely stay. Beach ride @ Druidston c/o Nolton Stables. The best weather we've ever had! Lovely clean apartment with the best views. We'll be back again just ot sit on the sofa and watch the sun setting! Lovely apartment, very well equipped. Fantastic view and beach. Great weather. Skomer Island puffins and seals the best! Apartment very comfortable and clean. Lots to do locally. Lovely coastal walks, Skomer Island, Picton Castle and Colby Gardens all worth doing. BRILLIANT! A great base, very homely. Fab views and right on the beach. Kids loved it as did we all. A well equipped and spacious apartment in a great position with wonderful views and super coastal walks. With the sun shining and the windows wide open giving uninterrupted views over the sea front. Any holiday could not be bettered! Amazing view and lovely relaxing stay. Lovely apartment - our first visit but not our last. Weather ok apart from Monday. Folly Farm great for kids. Good food at The Ocean undeerneath. Nolton Haven and Little Haven both very pretty.